Relax in our elegant turn key furnished, three bedroom, two bath, first floor, end unit, coach home in Clubside at The Strand. The Strand is one of Naples most prestigious gated Country Club golf communities. Our home offers scenic panoramic lake and golf course views along with the famous Naples Sunsets from our screened lanai. 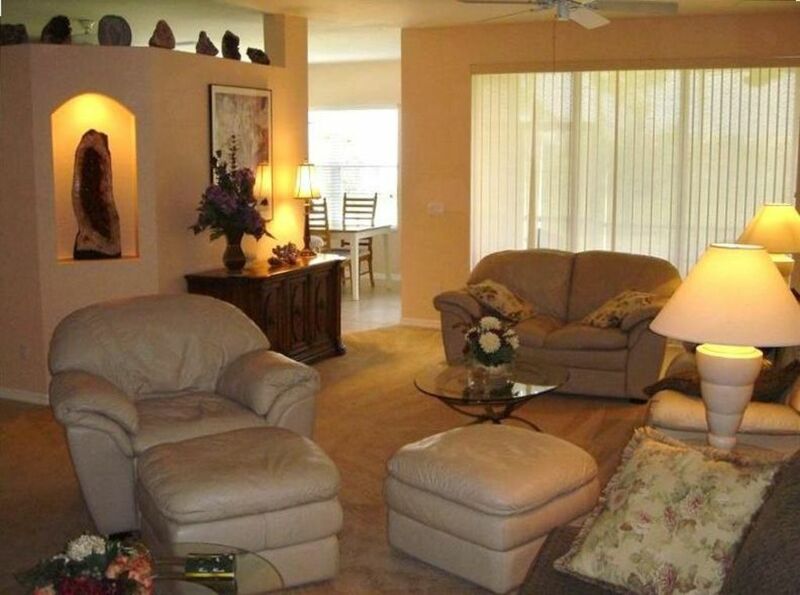 For your convenience, the unit has a spacious attached two-car garage and private laundry room. The magnificent clubhouse at The Strand is 55,000 square feet and features a dining room, boardroom, multi-media center, meeting/party room and an Olympic size pool. Dine in the two restaurants and enjoy the extensive social calendar for the community and at Clubside. Clubside has its own private community pool and clubhouse facilities. Shopping, Banking, Dining and retail businesses are all conveniently located within walking distance of the condo. Discover Vanderbilt Beach and Wiggins State Park beach, just north of the Ritz-Carlton and minutes away. The Strand’s gated golf community includes a magnificent 55,000 square foot clubhouse with two restaurants, spa and professional health club. Choose between two pools: the peaceful Clubside pool - steps away from our unit - or The Strand's Olympic size pool overlooking the main clubhouse. Golf is available nearby, or if you have friends at The Strand. A Social membership included with our unit. Other memberships are negotiable. Additional photos and references are available upon request. My wife and I are both professionals, I teach global history at a high school and Tatiana teaches instrumental music. Between the two of us, we speak Italian, Portuguese, Spanish, Hungarian, Ukrainian and Russian per month. We are a diversified couple who love to travel and have seen most of the world. We understand and are sensitive to foreign cultures and welcome the diversities and customs of international guests.